Healthcare advertising is a great way for companies to build brands and grow sales. Whether you’re a hospital or practice seeking new patients, or an advertiser looking to do more business in the healthcare industry, we can help. Online healthcare advertising takes a variety of forms including banner or display advertising, text ad advertising, cost per click advertising such as Google Adwords, email advertising and email blasts, and more. We work with you to plan your campaign and then get it launched quickly via our publishing network. This network targets both businesses (B to B healthcare advertising) and consumers (B to C healthcare advertising). 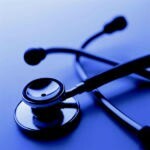 Learn more about cost effective ways to grow your business via healthcare advertising. Healthcare Advertising and the related practice of Medical Advertising are common techniques employed by vendors serving the medical and healthcare industries.